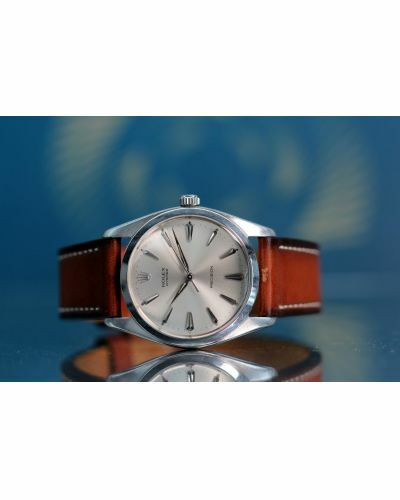 Very attractive Rolex Oyster solid 14K 1500 date watch. Original 14k rivet bracelet dated 1-64 with 57 endlinks. Serviced and running very well. Un-restored case. Serial code 952xxx. 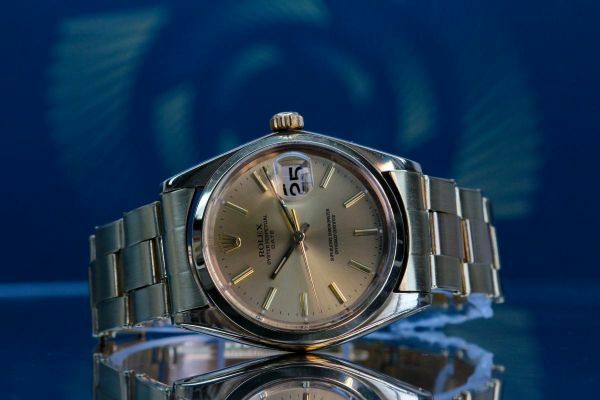 For us to size your new Pre-owned Rolex watch as accurately as possible, please take a look at our downloadable Watch Sizing Guide.